Inductees are chosen each year from nominations by WBA members, family members and friends. Broadcasters who have been inducted into the Hall of Fame include managers, personalities, engineers, reporters, educators and those broadcasting pioneers who were all of the above. Four broadcasters will receive this prestigious honor in 2019. 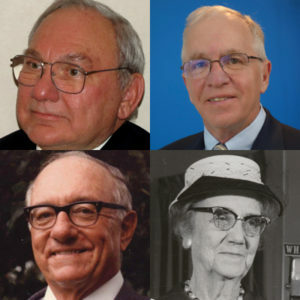 They are: Clif Groth, Dean Maytag, David L. Nelson, and Fannie Mason Steve. In October 1989, Alfred C. Sykes, then Chairman of the Federal Communications Commission, came to Wisconsin to formally dedicate a Hall of Fame display, including plaques honoring the inductees, at the State Historical Society of Wisconsin Library in Madison. In 2010, due to remodeling of the SHSW facility, the display was removed and put in storage. The display now resides at the Hilton Milwaukee City Center. The Wisconsin Broadcasters Hall of Fame also has a permanent, virtual display at the online Wisconsin Museum of Broadcasting which debuted in 2009 at www.wisconsinbroadcastingmuseum.org, where the Wisconsin Broadcasters Hall of Fame Gallery is one of our major attractions. We hope to see you all at the 2019 Hall of Fame festivities at the Osthoff Resort in Elkhart Lake on June 13. The event will begin with the Hall of Fame Reception at 5 p.m., with a banquet in honor of the inductees, and the inductions following at 6 p.m.
Clif Groth’s engineering expertise has touched countless radio stations throughout Wisconsin and the Midwest. 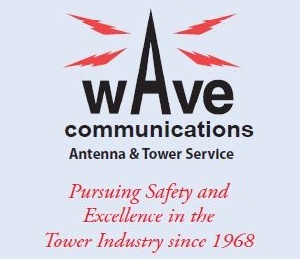 For 60 years, he has dedicated himself to building and rebuilding radio studios and towers and establishing a reputation as a dependable, dedicated, and well-respected broadcast engineer. Clif showed an interest in broadcasting at an early age and took his first engineering job in 1958 at WTTN in Watertown before he graduated from high school. In 1965 he started his own contract engineering business named Broadcast Electronic Service, which was later sold to Goetz Broadcasting. 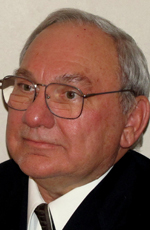 He was instrumental in the development of the Goetz Farm Radio Network and the statewide network for Marathon Sports. Dean Maytag is passionate about broadcasting and has been dedicated to television, local programming, mentoring, and community service in Wisconsin. 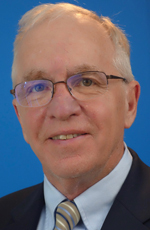 Dean started his career working at television stations in Iowa and Illinois before coming to WTMJ-TV in Milwaukee in 1978 as production manager and has remained in southeast Wisconsin. At WTMJ-TV, he created “On-line Video,” one of the largest video production facilities in the state. In 1988, Dean moved to WISN-TV as Director of Broadcast Operations. Under his direction WISN-TV produced over 500 local specials, including live debates, public affairs programming documentaries, and news specials. He won several Emmy Awards and numerous commendations for his service to the Milwaukee community. May 10, 2014 was declared “Dean Maytag Day” in Milwaukee. Dean retired in 2014, but remains involved in broadcasting producing “Project PitchIt” a statewide TV program inspiring entrepreneurship in Wisconsin. Dean served the WBA as Chairman of the Board in 2013 and continues his involvement with work in education, mentoring, and the WBA Awards. 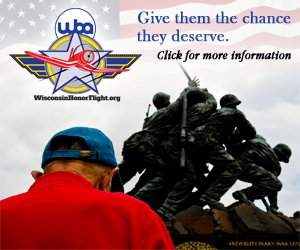 He was instrumental in creating the original concept for the WBA to promote Wisconsin Honor Flights. His peers describe Dean as a consummate professional with a great love of broadcasting. David L. Nelson (1921-2017) was a well-respected leader whose dedication led to a long and influential career in broadcasting. From 1953-1962 David was employed by both the Green Bay Newspaper Company and Post Corporation of Appleton where he served as CFO and as a director of both corporations. When the companies parted in 1962, David devoted his interests solely to Post Corporation. There he served as a director and COO and CFO until 1984 when the corporation was sold. David was executive vice president and COO when the firm was sold. In 1984 David purchased radio stations in Eau Claire and subsequently purchased radio stations in Missouri, Iowa, and North Dakota. 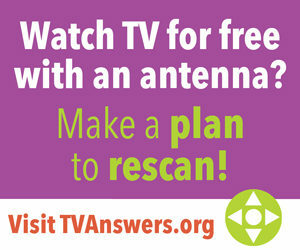 He also bought television stations in Green Bay, Eau Claire; Marquette, Michigan; and Rochester, New York. David never retired. He had ownership in Holiday Travel Service of Eau Claire and Winnebago Color Press in Menasha. He served as an officer and director of these firms until his death. David is described as a strong, tough, and caring leader. He had high standards, wouldn’t take shortcuts, and had a loyal group of people who worked for him. 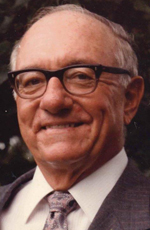 His dedication to his community culminated in a $100 million gift from his estate to Community Foundation for the Fox Valley Region. Fannie Mason Steve (1877-1969) was a teacher, musician, mentor, and tireless advocate for the joys of exercise and life. At the age of 55, after decades as a classroom teacher, Fannie launched a pioneering broadcast career focused on early childhood education. She spent 35 years teaching music and physical education on WHA’s School of the Air, engaging young listeners with just the sound of her voice and a piano. Fannie grew up in a musical family and started as a teacher in Madison public schools. In 1931 she joined WHA and launched “Rhythm and Games.” The show featured music and activities to inspire imagination, healthy habits, and group spirit. She had a radiant voice that captivated her young listeners. 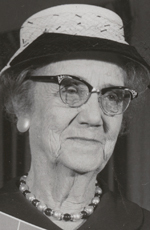 Fannie received numerous awards including the 1962 McCall’s Golden Mike Award for “outstanding service to the youth of America.” She retired in 1966 at the age of 90.